The Shakers at Mount Lebanon were precursors to the modern-day “farm to table” movement. 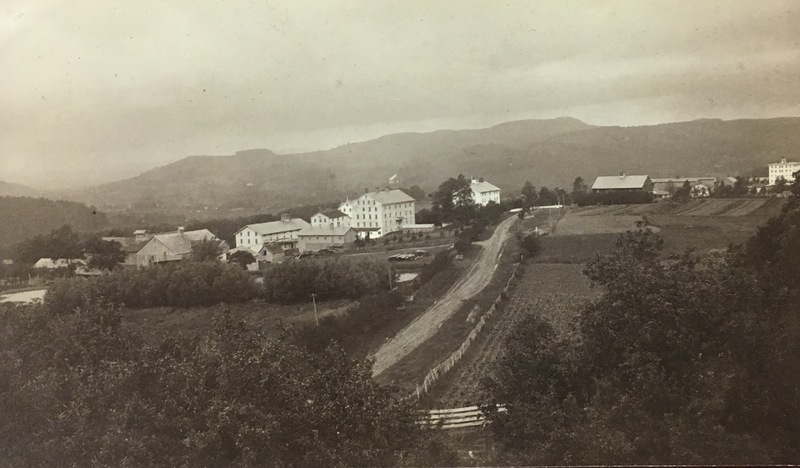 Many of the community’s thousands of acres were devoted to agricultural production, an investment that allowed them to produce their own food and divest from their involvement with the outside world. 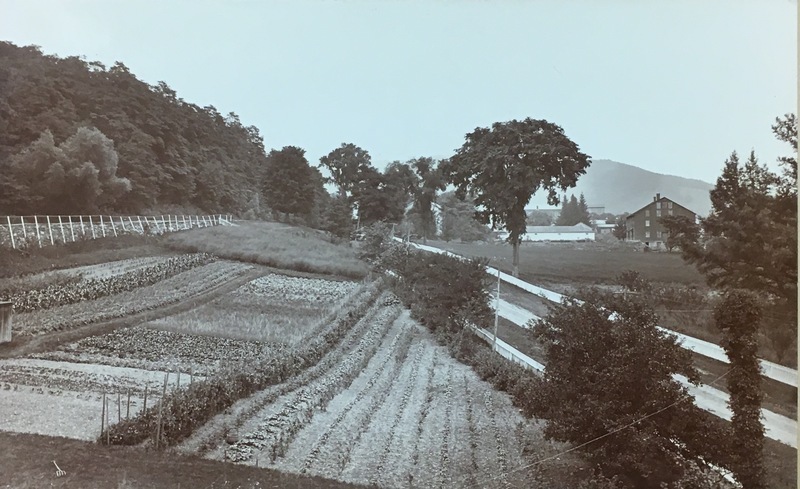 Rhoda Blake, a Shaker living at Mount Lebanon, described the community’s vast agricultural holdings and the group’s reliance on sustenance from their fields: “In the spring of [eighteen] thirty four, things appeared to come forward early, vegetation seemed to thrive, trees blossomed and fruit seemed as usual. But alas!.. a dark cloud came up from the north west and before morning considerable snow fell. . . snow and ice covered the trees and our fruit was destroyed. In the fall we gathered little more than a bushel of apples.” Blake’s commentary reveals the importance of the fields to the Shakers, who sought to live out their principles in everyday life. Though many Shakers throughout the nation did become vegetarians, others had diets that were more similar to those of mainstream Americans at the time. According to J.E. 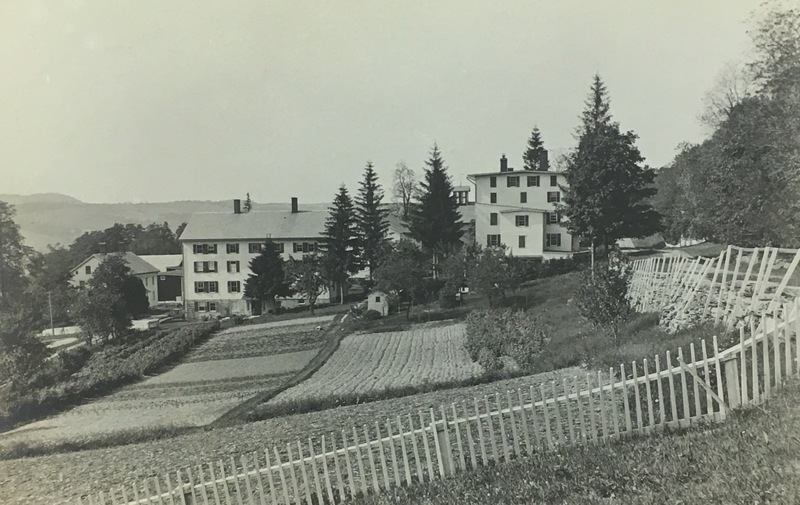 Murray, in the mid-1800s, some Shakers at Mount Lebanon were treated to milk, butter, fruits, meats, potatoes, and bread for breakfast, while their lunches consisted of fish or other meats, tea or coffee, and fruit jams or preserves. These meals were oftentimes seasoned with herbs from local gardens. For those of whom ate meat, their diets still maintained a healthy balance of fruits and vegetables produced on Shaker farms. 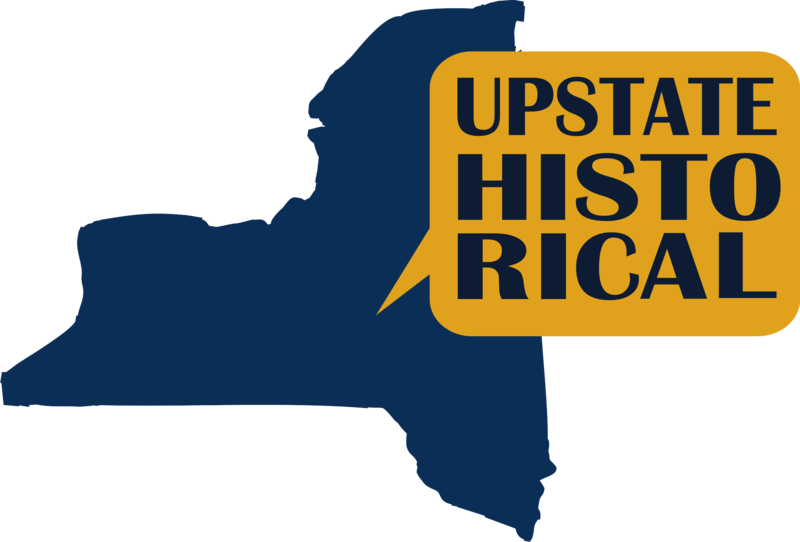 Tess Frydman and Trent Rhodes, “Shaker Agricultural Production and Foodways,” UpstateHistorical, accessed April 18, 2019, http://upstatehistorical.org/items/show/39. Lawrence, D. Cameron. "Simple Gifts: The Shaker Way to Cook and Eat." NPR. April 30, 2008. Accessed December 4, 2017. https://www.npr.org/templates/story/story.php?storyId=89943917. Murray, John E. and Cosgel, Metin M., "Regional Specialization in Communal Agriculture: The Shakers, 1850- 1880" (1997). Economics Working Papers. 199702. http://opencommons.uconn.edu/econ_wpapers/199702 Wergland, Glendyne R. Shaker Autobiographies, Biographies and Testimonies, 1806–1907. Vol. 3. New York: Routledge, 2017. White, Anna. Vegetarianism Among Shakers. Mount Lebanon, 1895.